I had decided to hold off on sharing the overwhelming sense of relief that Terry Chellappah was experiencing as he witnessed the raging bushfires come perilously close to his Margaret River property, largely because there still remain a real threat and mindful of the tragedy and devastation of the Victoria bushfires in February, 2009. “Thanks so much to all of you who have wished us well and kept in touch during the last two devastating days down here in Margaret River. The situation has been critical with much damage to property, but thankfully no loss of life. The outlook is much better today (25 Nov) thanks to much more favourable weather conditions in which to fight fires. Most outbreaks are under control, but there is much remedial work that needs to be done before the worst hit areas are open to residents again. I don’t think there has been much damage to vineyards, but Bill’s place at Redgate might have been affected. Fingers crossed. Our area whilst under threat yesterday was spared and we were given the all clear to return to the property a couple of hours ago after we were told to evacuate on Wednesday afternoon. In inspecting the immediate area, I can see that the fire has come within about 1 – 2 kms of our SW fence line. That is nothing at all for a fire that was moving at 100m a minute at one stage. It took out around 3,000 hA in two days! 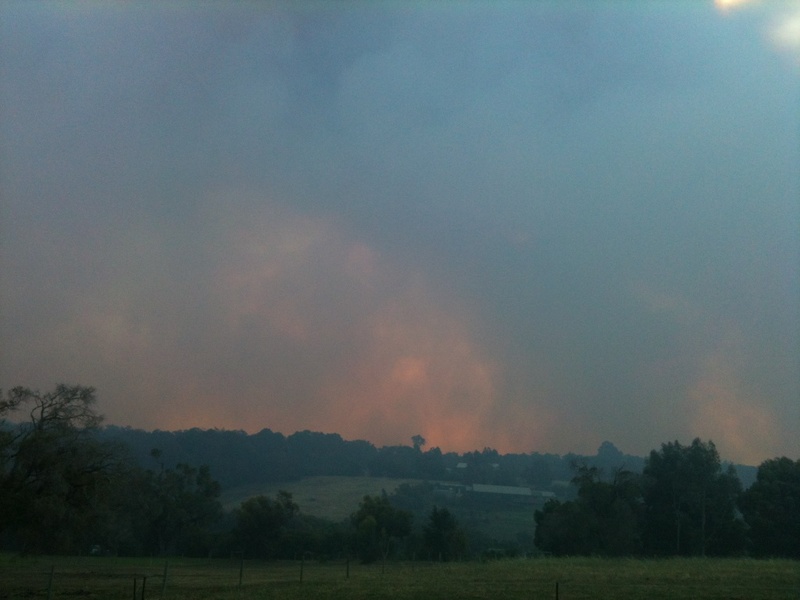 As per the picture, taken from our deck when I got back from Perth to evacuate on Wednesday, things were looking pretty bad at one stage. 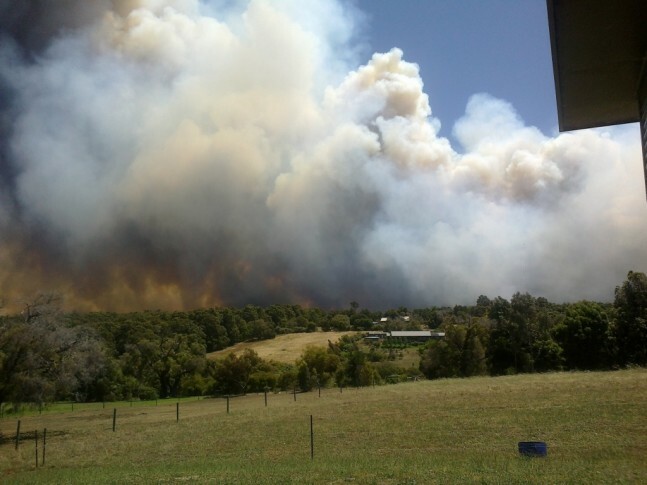 With all bushfires, no matter where they are, invariably much property and life is saved by the local volunteer fire brigade, as was the case with this incident and as this article outlines, they are indeed the ‘Unsung Heroes”.